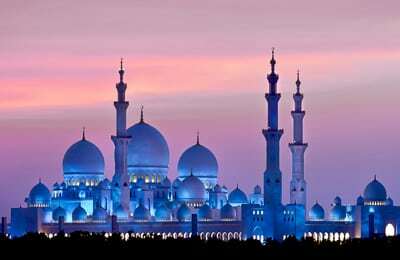 Abu Dhabi is poised to become a leading destination for Halal tourism and is heading to ITB Berlin in Germany to highlight its credentials and opportunities to leading tour operators at the event. A trade mission, led by Abu Dhabi Tourism & Culture Authority (TCA Abu Dhabi), will be at the German trade show from March 4 to 8 with a 90-strong portfolio of the emirate’s leading hotels, destination management companies, resorts and tour operators. “Abu Dhabi is firmly rooted in Arabia’s Islamic traditions and we believe our culture, heritage and product base has great appeal with the Muslim traveller,” said Mubarak Al Nuaimi, director promotions and overseas offices, TCA Abu Dhabi. “We already engage with some of the world’s largest halal travel operators and are discussing this topic with all our stakeholders and encouraging the creation of Halal packaging where appropriate,” he said. Multiple self-guided halal holidays are promoted by TCA Abu Dhabi including tours to Sheikh Zayed Grand Mosque and other culturally important sites across the capital and the heritage heartland of Al Ain. In total 18 itineraries are being marketed under three sections: Family Friendly Fun, Cultural Enlightenment, and Resorts, Restaurants and Relaxation. The itineraries are outlined in a brochure which will be launched at ITB Berlin and will be distributed worldwide across TCA Abu Dhabi regional offices. “These itineraries provide essential tips on not-to-be-missed attractions and experiences for holiday-makers seeking to maintain the values and modesty of Muslim travellers. They show how easy it is to explore the emirate, and can be combined to create action-packed, full day itineraries,” said Al Nuaimi. There are also fully halal compliant tour suggestions for thrill-seekers to experience all the entertainment on Yas Island such as Ferrari World Abu Dhabi and ladies-only acitivities at Yas Waterworld as well as tours of the family-friendly Yas Marina Circuit. In October, Abu Dhabi is hosting The World Halal Travel Summit & Exhibition (WITS15) which will focus strongly on the tourism between the 57 members states of the Organisation of Islamic Cooperation (OIC) – the second largest inter-governmental organisation after the United Nations with a membership spread over four continents. WITS15 is expected to draw high profile international attendance from government delegations, tourism associations, market-leading private sector operators and leading financiers funding Islamic tourism projects.